If you like the Beatles or really like music, specifically guitar licks, you are going to love this new app. George Harrison fans, this is for you. 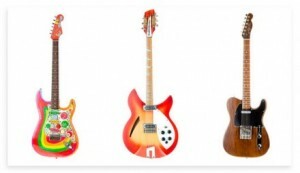 Did you ever wonder what guitar George’s guitar collection looked like? Did you ever wonder what guitar he used for certain songs? If you answered yes to one or both questions, check out this new app which premieres later this month. Since 1994, AMCP has sponsored video competitions to recognize outstanding work in the video production field. In our early days, most of the entries were submitted on VHS tape… some were on Beta, BetaSP or 3/4 in. tape. Most of the entries were 30-second commercials, 30-minute documentaries, 15-minute company overviews or hour-long training sessions. Projects tended to be single purpose with a well-defined audience. There was not much integration with print materials and back then, the web was little more than a handful of computers connecting a few mad technologists. In the mid 90s, as Avid’s non-linear editing became popular, the ability to quickly change or copy a shot or segment and to do so without compromising quality, opened up a whole new world for video applications. Digital eventually replaced tape and found itself in other mediums like audio, photography and electronic text. Finally, the web provided a way for multiple media to work together to enhance the speed and flow of information. Now the creative convergence of digital arts, technology and information is changing the way we market, communicate and socially interact. It has been interesting to watch many of our early entrants reinvent themselves. 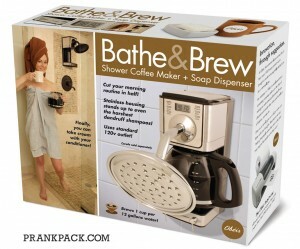 Many quickly embraced new technology, the internet and the interactivity of various media. I know a number of video producers and cameramen that were at the forefront of web development and social media. The lines are now blurred between video, print and audio. Most magazines and newspapers have online editions that feature video and animation. Websites, twitter and other social media are important communication tools for television stations. Most professional communicators are expected to be proficient in all forms of media and communication. Ava Awards began as a celebration of the audio-visual arts. Today, it also recognizes the evolving role that digital is playing in the transfer of information through text, graphics, animation, video, audio, etc. Our categories now include audio and video production; websites that present interactive components such as video, animation, blogs, and podcasts; and interactive social media sites and other forms of user-generated communication. In addition, we changed our logo to reflect the evolution of digital in the communication world. The old reel that represented film and tape, now morphs into an array of cubes representing digital interactivity. Winners of our web categories will be eligible for a new award that features this new design. 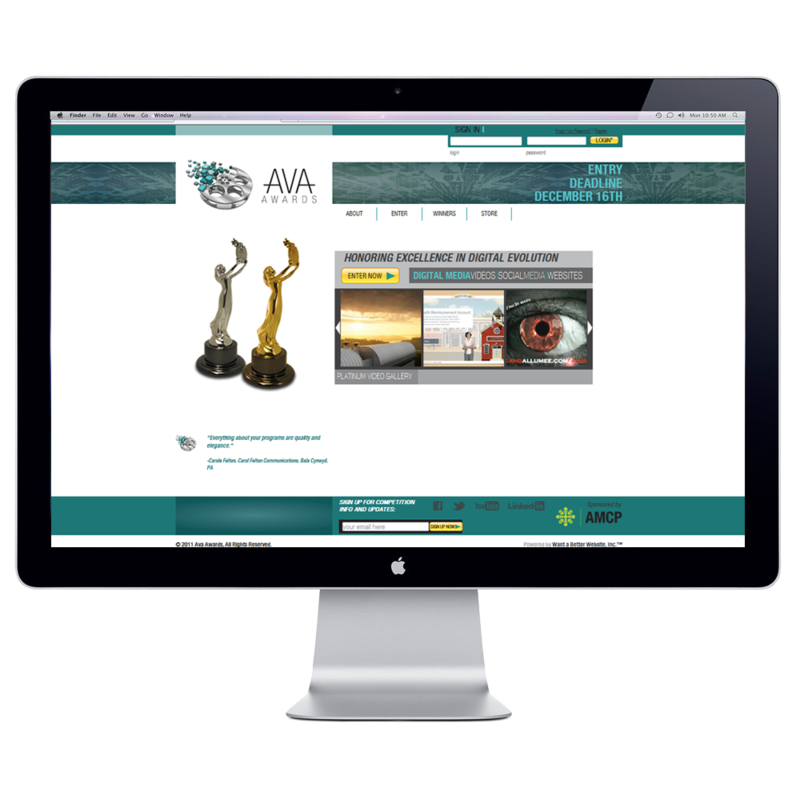 New website for AVA Awards! The all-new AVA Awards wesbite is up and running! The AVA Awards honors excellence in the latest digital media evolution, including videos, social media, websites, and more. Click here to learn more about how you can distinguish yourself or your company as an award winning marketer. New logo design for AMCP! 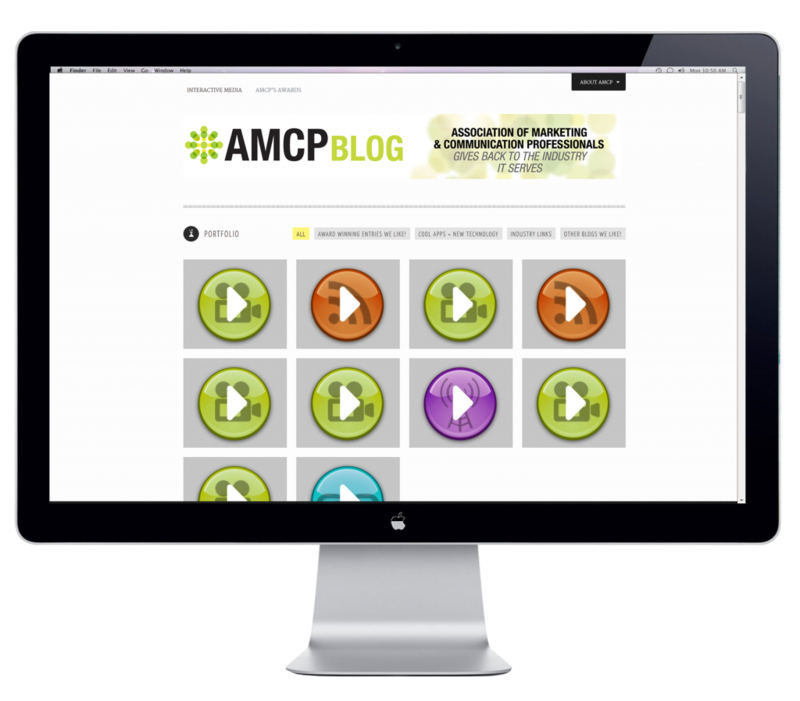 AMCP is currently undergoing a Graphic and web overhaul. Check back soon for an all-new amcpros.com! 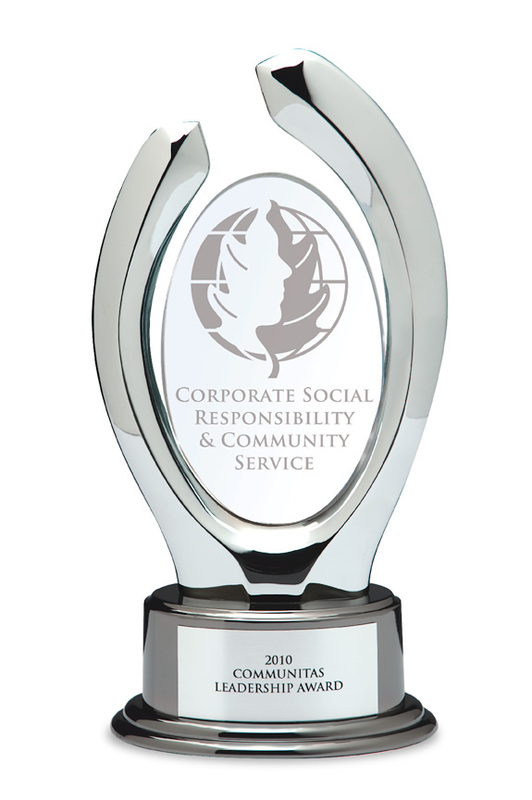 We are proud to salute 2010 Communitas Award Winner Gilda’s Club Northern New Jersey (Hackensack, NJ), which prides itself on providing comfort for cancer survivors as well as being environmentally responsible. Created in honor of former Saturday Night Live performer Gilda Radner, who succumbed to cancer in 1989, the club provides free support for persons living with cancer, as well as their families and friends. With encouragement from The Marcus Group (TMG), a communications firm based in Little Falls, NJ, Club President Ruth Dugan used approximately $500,000 in funding from the U.S. Department of Health and Human Resources to renovate the club’s facilities according to “green” principals. In just three months, the clubhouse was transformed into a chemical-free structure furnished entirely with environmentally friendly materials. The refurbishment was critical for visiting cancer patients, whose immune systems are frequently compromised by chemotherapy and related medications and treatments. The Greening of Gilda’s Club transcended the renovations to include the usage of “Greening the Cleaning” products, a line of chemical-free household cleaners created by project consultant Deirdre Imus, wife of radio personality and prostate cancer survivor Don Imus. AMCP judges were so impressed with Gilda’s Club Northern New Jersey’s commitment to and love for its cancer patients and their families and friends that they bestowed a Communitas Leadership Award for Green Initiatives. Please be sure to visit www.communitasawards.com for a complete list of winners from the recent Communitas Awards competition. We are proud to salute 2010 Communitas Award Winner Blue Cross Blue Shield of Michigan (Detroit, MI), which is championing faith-based health and wellness challenges in the African-American church communities throughout the state. Nominated for its Body & Soul Blue initiative in the Grand Rapids and greater Flint African-American communities, the insurance provider is prescribing incentives that may eventually improve health, reduce healthcare costs, and change behaviors in high-risk racially diverse populations. BCBSM is effectively impacting the community by working with organizations that are already involved and recognized as leaders and decisions makers in those areas. In Grand Rapids, the Body & Soul program goal is to encourage church members to eat more fruits and vegetables, and to incorporate more physical activities into their daily lives. BCBSM’s online Walking Works program that is offered to participating churches encourages each organization to form a walking team that logs its walking mileage and competes against each of the other local churches in a three-month fitness challenge. AMCP judges were so impressed with BCBSM’s commitment to keeping these communities healthy and fit that they bestowed a Communitas Award for Corporate Social Responsibility/New Category. Please be sure to visit www.communitasawards.com for a complete list of winners from the recent Communitas Awards competition.